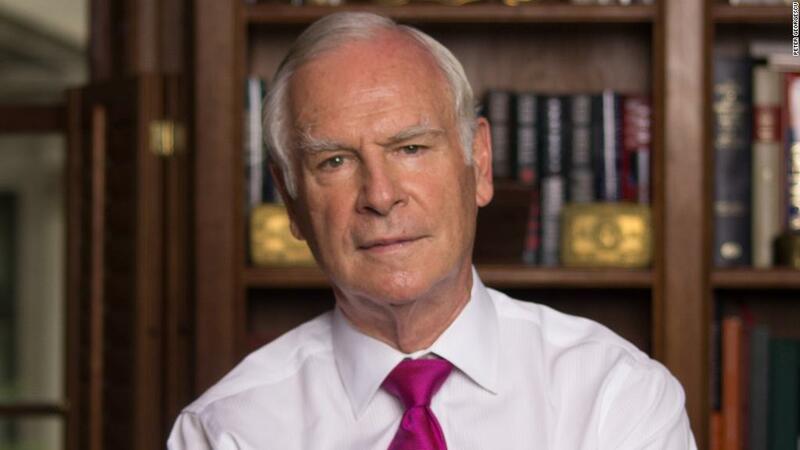 Few are more grateful for US citizenship and the American Dream than Peter Georgescu. He came to the United States a political refugee in the 1950s and went on to build a storied business career, which included being chairman and CEO of the global advertising firm Young & Rubicam. That's why he feels compelled to speak out about the perils he sees for US society if American businesses don't take a more active role in combating income inequality and narrowing the economic opportunity gap. "What scares me is our complacency. We have two countries. We have 20% of Americans where life is about as good as it gets. Then we have the other America a couple of miles away," Georgescu tells CNN's Poppy Harlow in the latest episode of Boss Files. Born in Romania under Communist rule in 1939, Georgescu was separated from his parents in 1947 because the fall of the Iron Curtain prevented them from returning home after they took a business trip in New York. He lived with his grandparents after that, but was arrested and sent to a hard labor camp at 10 years old. He and his brother worked at the camp for several years. In 1953, their parents, who had by that time become American citizens, were told by Romanian diplomats, "'Spy for us or you may never see your kids again,'"Georgescu said. His parents refused and went to the FBI with their story. The press reported on it. 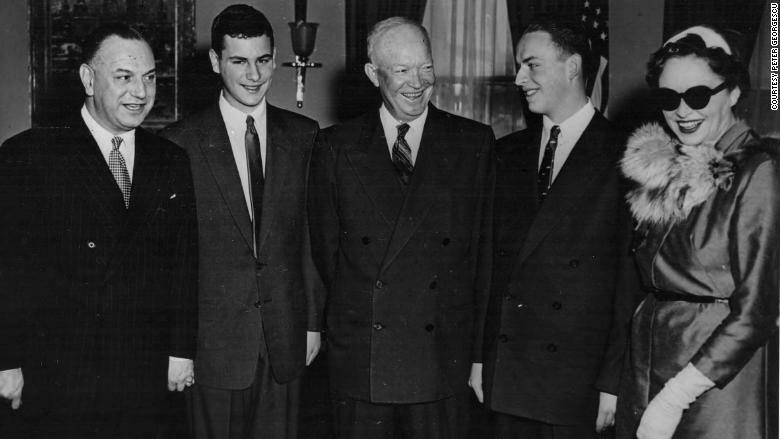 A member of the House Foreign Affairs Committee and President Eisenhower took up the cause to get the boys freed. It worked. They arrived in the United States to join their parents in 1954. Georgescu was even invited to attend the exclusive Exeter Academy even though he didn't know a word of English at the time. For him, the American Dream meant becoming the best version of himself. "Not only am I alive because of America and the American people, but because along the way I have always gotten help," he told Harlow. That's why Georgescu is so pained by what he sees as growing rips in the fabric of US society — not only from disproportionate wealth and opportunities enjoyed by the top 20%, but also the anti-immigrant sentiment championed by the Trump administration. The Georgescu family meeting with President Eisenhower. "This is a country of immigrants. The power of the energy that immigrants bring to America is extraordinary. ... They have always looked to America as the land of opportunity, as the land to learn and practice and live the values that we have possessed for a long time. [Now] we don't recognize this. We choose to say 'America first.'" His latest book, "Capitalists, Arise: End Economic Inequality, Grow the Middle Class, Heal the Nation," is a call to the private sector to act. One thing business leaders can do is drop the mantra that one always needs to maximize short-term shareholder value at all costs. "That's the problem," said Georgescu, who is on the board of JUST Capital, a nonprofit that tracks and aims to encourage fair and just corporate behavior. "Corporations have more than one stakeholder. Yes, the shareholder is important. But so is the customer. And so are the employees. ... And so is the nation and the communities." Businesses can no longer afford to say "'We must grow and I don't care about what happens to the community or the nation,'" he told Harlow. Or to not care for their employees, Georgescu added. "They have to be treated well, because a worker is not going to spend his nights worrying about productivity increases and innovation if [he is] being treated like dirt."